The Baker’s Daughter – Sarah McCoy: I’ve written about this book before, so you already know how much I adore it. Even though I read this story back in April, I’m being completely honest when I tell you that it still runs through my mind often. Reba and Elsie, they are the kind of characters you root for. The kind of characters you care about. The kind of characters that inspire you. I have a soft spot for books that feature a dual narrative, and it was such a joy to hear not only about Reba’s and Elsie’s individual journeys – in present-day Texas and WWII era Germany, respectively – but also about the one they forged together after Reba visits Elsie’s German Bakery to interview its owner. The lessons she learns are profound, and the feelings this beautiful story evokes are the kind that positively fill you up as a reader. Memoirs of an Imaginary Friend – Matthew Dicks: I was absolutely captivated by this book. It is so special, so clever, so tender and enlightening and poignant. It’s different from the type of story I normally read, but oh my gosh, you guys, I couldn’t put it down for anything. I sped through it faster than any other book this year, because I simply had to know what happened next for sweet, creative, brave little Max and his imaginary friend Budo. Watching them both come into their own, seeing them grow and spread their wings … it’s a gift for the reader. This might be a story about a child, but when you look at the world through his eyes – and through the eyes of the imaginary friend who pushes him to have more courage than he even thought possible – I promise, you’ll learn a lot about your own world, too. You Knew Me When – Emily Liebert: This book has been on my to-read list for a long time, and I’m so glad I finally dove into its pages this year. I truly loved every word. This is a story about life and love, but mostly it’s a story about friendship. Getting to watch as Katherine and Laney’s friendship grows – they meet when Katherine moves two doors down from Laney as an eleven-year-old – and then dissolves when a massive roadblock wedges its way into the journey of their sisterhood, it is a treat. Emily does such a lovely job of writing about both the past and present, and tying them together in meaningful ways. I was rooting for Katherine and Laney from start to finish, and I adored the presence of the neighbor who lived between them. Luella was an important part of the girls’ past, and I love that, even though she’s passed away, she gave them one final gift — a hope for their future. Catching Air – Sarah Pekkanen: For those of you who have been reading my blog over the years, it’ll come as no surprise that Sarah’s on this list. She is every year, because her books are the kind that take us directly into her characters’ homes … hopes … hearts. This story is one of my favorites of all of hers. It’s such fun to join Kira, Peter, Alyssa, and Rand as they open a B&B in Vermont — to see them not only navigate the ups-and-downs of this new business venture, but also the ups-and-downs of their personal lives, including the possibility of adding not one, but two little heartbeats into the fold. And then there’s Dawn, the woman who seeks shelter in their bed and breakfast. These characters are so real, so true. One of my favorite things about Sarah’s books is that they invite you in and let you experience their magic. That’s exactly what happened here, and it left me feeling inspired to catch some air of my own. Yes Please – Amy Poehler: This is, hands down, one of my favorite memoirs I’ve ever read. Amy’s book is full of humor and wit, but also grace and intelligence. I’m not exaggerating when I say I had six different passages bookmarked within the first two chapters. Hearing about Amy’s life, about her plethora of amazing experiences, was so cool, but what I loved most was her insight into the writing world and her advice on saying “yes, please” to a life full of inspiration. She is strong, she is determined, she is confident … but she’s also not afraid to admit when she’s wrong, to acknowledge that there will always be so much more to learn. I listened to her words of wisdom in the audiobook version, and if you guys like those at all, I highly recommend it. Amy narrates the book herself, and there are some special extras thrown in, too. It adds another dimension, because not only is Amy a wonderful writer, but also a fabulous storyteller. The Longest Ride – Nicholas Sparks: Would you believe this was my first Nicholas Sparks novel? It won’t be my last, though! This is another dual perspective book, the story alternating between Ira – an elderly man who has gotten into a car accident and is relying on a lifetime of memories with his dear wife Ruth to keep him holding on – and Luke and Sophia, the couple who find his car off the side of the road. Ira’s sections, in particular, had me spellbound. What a fantastic character Nicholas created in him, and oh my gosh, what a heartwarming love story he had with Ruth. It’s the kind of bond that brings tears to your eyes. And when the two stories intertwine at the end? It’s in such a fitting, beautiful way. I’ve stayed away from Nicholas’ books in the past because I know they often have sad endings, but this one was different. There was hope woven through every page, love threaded through every word. Okay, now it’s your turn: what are your favorite books of 2014? Well … hello there. Sorry, friends, I didn’t mean to drop off the face of the (blogging) earth. I started edits on WATERCOLORS two and a half weeks ago and have pretty much fallen down the rabbit hole of Revision Land. After (happily) spending four hours on each chapter, the last thing my eyes (and neck … and back … and head …) want is to stare at the computer screen for much longer, so I’ve been stepping away from the laptop as much as possible. The goal is to finish this first round of revisions by the middle of June, so I’ll be back to more regular posting then, but in the meantime, I thought I’d share some thoughts about a few amazing books I’ve read lately. 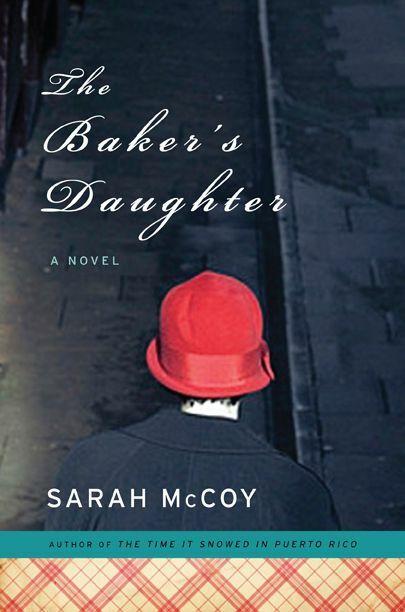 THE BAKER’S DAUGHTER, by Sarah McCoy: You know those books that do more than touch your heart? The ones that slip seamlessly into your soul and take up permanent residence? The ones that make you laugh one moment and grow misty-eyed the next? The ones that strike a lasting chord? That’s what this book did for me. It’s been a long time since I was affected by a story on such a visceral level. From the very first word straight through until the very last, I was just spellbound by the characters and their journeys. When Reba Adams visits Elsie’s German Bakery to interview its owner and write a Christmas piece about her for a local magazine, she has no idea what awaits her. What memories she will hear from both Elsie – who, as a German teenager during WWII, hid Tobias, an escaped Jewish boy, for months – and her daughter Jane. What a deep, life-changing friendship she will form with the women. What inspiration and hope she will see in them and feel reflected on herself. This is a story about Reba and her fiance Riki. About Elsie and her family, both those in Germany and those in America. About Reba and Elsie and Jane together. With alternating perspectives – the book flips between present and past, showing us the heart of who Reba and Elsie are – it offers an insightful, educational, inspiring, enlightening view. I found myself thinking about these characters, especially Elsie, so often, even when I wasn’t reading. I woke up two hours early on more than one occasion to squeeze in extra time with them, I sat on a beach with a windchill in the forties because I only had two chapters left and couldn’t imagine not finishing the story right then, even if it meant my hands turned to ice. This story, it is compelling. Mesmerizing. Fascinating. I learned a lot about WWII in both regular school and Hebrew school, but this added another dimension. It left a handprint on my heart, on my thoughts, and will stay with me for a very, very long time to come. CATCHING AIR, by Sarah Pekkanen: You guys know this already, because I’ve talked about it time and again on here, but Sarah’s books are among my very favorites. So when I won an ARC of her new novel, you’d better believe I was super excited. As usual, she’s crafted a story that takes us directly into her characters’ hearts … homes … hopes. When Kira and Peter Danner accept his brother Rand’s offer to move to Vermont and run a B&B with him and his wife Alyssa, they don’t know what they’re in for – and for people who crave security, that is, to say the least, a leap of faith. The same is true for Alyssa and Rand, whose lives are forever changed by tiny miracles that blossom into the greatest blessings, and for Dawn, a woman who finds herself on the run as she desperately tries to flee the past that could put her entire future in jeopardy. Watching their lives intersect, seeing them pull apart and come together, is both entertaining and emotional. One of the things I enjoy most about Sarah’s writing is her ability to make readers feel like they’re right there in the pages, experiencing the story instead of simply reading it. Alyssa’s first ultrasound … Kira finding peace with the man whose absence left a hole in her heart … Dawn learning to stand up for herself … all five of them coming together to throw the wedding of the year at their B&B … I didn’t just see those scenes. I felt them, too, and I was inspired. Because this story? It helps readers catch some air of our own. FANGIRL, by Rainbow Rowell: I’ve been hearing such wonderful things about this book for so long. Everyone I know who’s read it has loved the story, and now you can count me in among those singing its praises. Like I mentioned, I actually rediscovered my passion for creative writing because of fanfiction, so from page one, I very much related to Cath. Her love of writing, her immersion in the story, her dedication to the emotion it brings out and the emotion she brings to the characters … it was like sitting in a warm patch of sunshine. There are such lovely insights into the writing life in this book, into its joys and frustrations, its heart and soul, and I had so much fun going along on the journey with Cath. Loved her, loved Levi, loved the way their relationship blossoms. I think what I loved most, though, is that the characters in this book are normal. They’re everyday people going about their everyday lives, trying to navigate the world just like all of us. They could be any of us. How awesome is that? Just like Cath is a fangirl of Simon Snow, I am one for this story. Your turn: tell me what you’re currently reading! Can I tell you guys how excited I was to receive an ARC of this fabulous novel by Sarah Beard? It’s a story I’ve been looking forward to reading for quite awhile, and oh my gosh, it didn’t disappoint. It did, however, do many other things: it warmed my heart, it made me cry, it reached into my soul and tugged at every emotion possible. There is something very special about this book and its characters. When I wasn’t reading about them? I was thinking about their lives, about their brightest dreams and rawest fears, about their unbelievable tenacity and inspiring strength. Even now, after I’ve finished the book, I still find myself going back to Aria, Thomas, and the whole cast. This is a story that truly resonates well beyond its pages. When Aria lost her mother, she lost a part of her heart. And when the grief turned her father into someone she didn’t recognize? Aria lost a whole lot more. Shut out from the world she once loved, a world where music flowed freely and her passion for playing the piano was both understood and nurtured, the notes in Aria’s life have dimmed. It isn’t until she meets Thomas, the grandson of the man who once lived next door, that a new melody starts to hum. In Thomas, Aria finds an escape, a light, a faith for the future. From the very first scene they share, their connection is palpable. It’s a love story that draws you in from the beginning, the kind that pulls you into the pages and has you rooting for the characters a hundred and ten percent. But this book is more than a love story. It’s one of happiness and heartbreak, of grief and healing, of forgiveness and redemption, of falling down and finding the courage inside yourself to stand back up. With a musical backdrop – like her mother, Aria is an accomplished pianist who dreams of attending Julliard – it’s almost as though the reader can actually hear the tale unfolding. Sarah paints a beautiful, three-dimensional picture with her words that made me feel like I was right there with Aria, whether she was fleeing through an orchard in Colorado, performing on a vast stage in Europe, or seeking shelter in a treehouse that, both literally and figuratively, gave her a glimpse of the most glittering stars. And it didn’t stop there, because the supporting cast is just as dynamic. Aria’s piano teacher Nathaniel, her neighbor Vivian, her college boyfriend Devin – they are all wonderful in their own way, and it was fascinating to see how each played an important role in shaping her life. Then, of course, there’s Thomas. Thomas, who seals the cracks in Aria’s heart, but also chips some new ones at the same time. Thomas, who has haunting secrets of his own. Thomas and Aria both, who remind us that it’s okay to have scars – because maybe, just maybe, they’re proof of how far we’ve come and how far we can go. 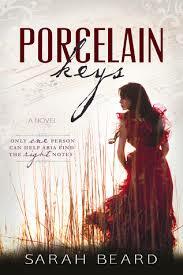 And now … I’m really excited to be able to offer a giveaway for an eBook copy (via Amazon) of PORCELAIN KEYS. To enter, leave a comment – by Tuesday March 4th – telling me: if you could play any musical instrument, what would it be? Good luck! This is the fourth year I’ve written a “best of books” post, and each time, I somehow manage to look forward to compiling it even more. It’s always such fun to think back on the stories I’ve read over the past twelve months, the characters I’ve met and the worlds I’ve been introduced to along the way. Each one is like its own present, just waiting for its treasures to be unwrapped. And how great is it that we can learn something new, something wonderful, something magical from the pages we dive into so eagerly? Pretty darn great. Pretty darn amazing. The Theory of Opposites – Allison Winn Scotch: I’ve written about this book before, so you already know how much I adore it. The story is inspiring, the cast is captivating, and the journey you go on with the characters is one that’ll have you reflecting on your own. Her whole life, main character Willa has felt trapped within the shadow of her father’s umbrella and frozen into inertia by his insistence that free will always falls victim to fate. Until she loses her job, her husband proposes they take a two-month break, her twelve-year-old nephew moves in, and her best friend dares her to swim upstream for perhaps the first time in her life by taking every single one of her instincts and doing the opposite. Willa’s quest to challenge her beliefs and change her life will leave you wanting to fly free right along with her. What’s next? Anything. Everything. The Best of Us – Sarah Pekkanen: Sarah’s books are always a treat, and this one is no exception. With a memorable group of characters – a group of college friends who reunite to celebrate a thirty-fifth birthday at a private villa in Jamaica – and the ominous foreshadowing of a hurricane that’s set its eye on the island, it’s a story that not only intrigues, but also keeps you on the edge of your seat. Tina, Allie, Savannah, and Dwight … they are all different as night and day, as the shells you’d find among the sand, and yet there’s a common thread woven among them. There’s a friendship that’s evolved since their collegiate days and takes on a whole new meaning as they ride out the hurricane. But even more important than braving the storm? Braving each other. Eleanor & Park – Rainbow Rowell: For months now, I’ve been hearing people rave about Rainbow’s books, and I certainly understand why. There’s a gentleness to her writing style, even when the storyline itself is painful. For high school students Eleanor and Park, life is about music. About exploration. About good triumphing over evil. About each other. Theirs is a tale about first love and its magic. Eleanor’s home life is difficult, to say the least, and as Park becomes her salvation, you can’t help but fall for their love story. Characters like these make you believe again. I was rooting for them a hundred percent, and though some of the supporting cast had me wanting to slap some sense into them, that was, of course, the point – and just makes Eleanor and Park’s dedication to one another all the sweeter. Why Can’t I Be You – Allie Larkin: Have you ever wished you could be someone else, even for a day? What about forever? Lonely and a little lost, when main character Jenny hears somebody calling for her across a hotel lobby, she answers – even though the name bursting through the air is actually Jessie. Despite her best intentions to tell the truth, Jenny lets herself fall into Jessie’s life. She fits in with her friends. She fits in with her hometown. She fits in with this new world. Even as she weaves a web of deceit, you can’t help hoping for Jenny to find her happily-ever-after … to create that happily-ever-after. Because, even though being Jessie teaches her a lot, Jenny’s journey is really about recognizing her truest self. Catching Fire – Suzanne Collins: This one is actually a re-read, since I wanted to refresh my memory before seeing the movie version earlier this month. What can I say about this book? It’s my favorite from the trilogy, striking a perfect balance between action and emotion, and although I already knew what happened, I still found myself unable to stop reading. Katniss is the kind of heroine you can’t help admiring: fearless, dedicated, brave, and strong. She has heart. Peeta has heart. Even some of their fellow victors have heart. They create a team in the unlikeliest of circumstances and remind us that sometimes it’s better to stand together than fall apart. If we can remember that … well, then the odds will be in our favor. The Lucky Dog Matchmaking Service – Beth Kendrick: Lara is a matchmaker extraordinaire — except, instead of setting up her clients on a date, she finds them the perfect furry soulmate. Add that to her day job as a dog trainer, and her love for the canine species is pretty clear. But her boyfriend’s? Not so much. When their fight over one of Lara’s dogs escalates and she finds herself without a boyfriend – and without a home – she must work to pull her world back together. As she moves into her mother’s gated community and becomes a Dog Whisperer of sorts to the other residents, you can’t help smiling at the antics of the hilarious supporting cast. And when Lara finally realizes what a short leash she’s been clipping herself to? You’ll be cheering for her all the way. Tell me: what are your favorite books of 2013? If you’ve been reading my blog for awhile then you probably know that Allison Winn Scotch is one of my must-buy authors. Not only have I enjoyed every book I’ve read of hers, but she’s one of the kindest people out there. She has a blog that’s a treasure trove for writers, she makes herself accessible and open to readers, and now she’s blazing a new path as she ventures into the world of self-publishing with her new novel THE THEORY OF OPPOSITES. This book … please do yourself a favor and buy it. Immediately. Not only is it my favorite of Allison’s, but it’s one of my favorites ever. It is just that good, guys. The characters burst out of the pages and settle themselves in your heart from the very first page, and then they refuse to leave … even when you’re not reading … even when you’re actively doing something else … even when you’ve finished the book. I can’t tell you how many times I’d be taking a walk, or watching tv, or whatever, and this colorful cast would pop into my mind. I thought about them, I wondered about them, I was proud of them, I learned from them, I was inspired by them. Truly. Main character Willa has been contained within the umbrella of her father’s shadow for her whole life. His bestselling book tells readers that everything happens for a reason, that free will always loses to fate, that “what will be, will be.” Don’t bother to swim upstream, because the downward current won’t let it happen. Willa’s trapped into inertia by her father’s beliefs. Until her ex-boyfriend friends her on Facebook. And her husband suggests they take a two-month break. And her twelve-year-old nephew Nicky moves in for the summer. And her best friend Vanessa dares her to change her life, to take every one of her instincts and do the opposite. What follows is the journey of a lifetime for Willa. Watching her learn to follow her heart, seeing her find the courage of her convictions, traveling along as she digs deep and lets herself change her destiny, one step at a time … it makes for a wonderfully inspiring story. I found myself rooting not only for Willa the whole way, but also the rest of the lovable cast of characters. Vanessa is the kind of best friend we all wish for, one who pushes us and fights for us. Theo is a unique spin on a pillar of support, there for Willa but still giving her the space she needs to figure things out on her own. Raina and Ollie, Willa’s siblings, make you smile and laugh. And Nicky … he just might be one of my favorite characters in any book I’ve ever read. He’s warmth and wisdom and chutzpah. It’s rare that a book makes me misty-eyed, but this one did. When Willa finally finds the strength to be herself, when her world blossoms from pastel to technicolor … well, I won’t ruin the ending, but suffice it to say it’s an awesome scene. I’ve been thinking a lot lately about this idea – that sometimes we feel like being ourselves isn’t good enough, that sometimes there are people in our lives who make us feel that way through their actions (or inactions). But there are others who boost us up. Who love us just the way we are. Don’t we owe it to our hearts to love ourselves the same way? I think, above all, that’s what I took from this book: to fly free, to leap even when we’re afraid of falling, to embrace who we are and to deliberately swim upstream … because who knows what currents we can create? Know what I love? Book signings. Really, what can better than gathering with an enthusiastic group of readers and celebrating the authors and stories that have brought us together? Everyone clutches a book in their hands or on their lap, fingers wrapped around a treasure trove of words, of stories, of inspiration, and then we get to hear from the person who made that very book come alive. It is sunshine for the writer’s soul. Last night, I had the chance to attend an event with Sarah Pekkanen (who, if you’ve read my posts, you’ll know is one of my favorite authors), Jennifer Weiner, and Elizabeth LaBan. It was held in a lovely school, came complete with the most delicious (and huge!) cannolis, and featured a fabulous Q&A session. We heard from all three talented women – about their books, about their writing processes, about their journeys to publication, about their advice and anecdotes – and above all else, what struck me was the sense of unadulterated love for the craft of writing. Sarah, Jen, and Elizabeth exuded that love and so did everyone in the audience. My favorite comment of the evening came courtesy of Sarah, who talked about learning more through the writing than through the planning. I just … adore that. Yes, we can plan a novel. We can brainstorm, we can outline, we can research, we can plot timelines and turning points and milestones for our characters. And we should. We should know our stories like we know ourselves. But the real learning? The real journey? The real sense of who our characters are? How can we truly know that until we’re writing their tale? They have to tell us who they are. They have to show us. Sometimes – or, perhaps, often – that comes when we’re in the middle of a scene. One of the things I think is most special about writing is how the characters can surprise us. I’ve had people look at me strangely when I say that – “how can a character surprise you if you’re the one writing about them?” – but I honestly believe it’s true. Our characters lead the way. We’re there to help them along the path. I had the chance to chat with Sarah for awhile afterwards, both about her awesome books (seriously, you guys … run, do not walk, to the nearest bookstore and buy a copy of all four of her novels … you won’t be able to put them down, they are that fantastic!) 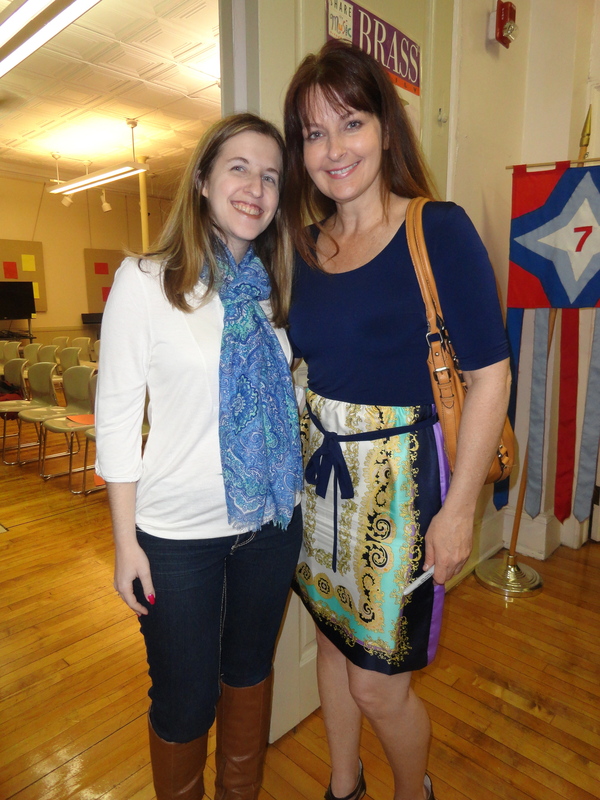 and about my publishing quest, and I will always be so thankful for her kind words and sincerity. I’ve said it before and I’ll say it again: the writing community, from those who are already published to those who aspire to and work towards that goal every day, is like no other. It’s warm, it’s welcoming, it’s wonderful. Sarah didn’t have to spend so long talking to me, but she did. She didn’t have to ask me about my own books, but she did. She didn’t have to say such encouraging things, but she did. Words can’t express my gratitude. She is truly a class act, gracious and genuine all the way. I left the event feeling so inspired. I couldn’t wait to sit down at my desk again this morning and continue writing (more about that in another post … I can’t even believe that I’m nearly two-thirds through this first draft!). That, to me, is what a book signing is all about. It takes the love, the joy, the pride we feel in writing and wraps them up in a neat package. Or maybe not. Maybe what it actually does is take those things and set them free into the world. And, again, I say: what can be better than that? Sarah’s new book is titled THE BEST OF US, and I think that’s a perfect way to sum up a book signing: it brings out the best in all of us. It was back in October that news broke about one of our local Barnes and Noble stores closing – one that has been in the area for twenty years, one that has become a landmark, one that has been a gateway to so many new worlds for so many different people. The doors close on December 31st, and as I wandered along the bookshelves for one final time on Monday, I couldn’t help but remember all the wonderful memories I have from that store. Sitting in the children’s section when I was younger, sorting through the tottering tower of books I’d selected as possibilities to buy. Piling up an equally large stack as an adult, mentally convincing myself that it was okay – perhaps even more than okay – to splurge on an extra novel or two. Breathing in that fresh book smell – you know the one – as I waited in line for the next available cashier. Enjoying the delicious blend of coffee in the air, paperbacks in my hand, and adventures just waiting to play out in my mind. Sitting in the car, reading the first few pages of a new story, because the fifteen minute drive home seemed too long. And so, even though my to-read list is already soaring, I couldn’t resist buying one more book there, just because. Perhaps it’ll be part of this post next year? By “this post,” I mean my annual Best of Books post, which has become one of my favorites to write each year. Here’s 2010’s and 2011’s. As always, it was tough to narrow down the list this year, but here’s a sampling of the books that have resonated so far and beyond their pages. Ten Girls to Watch – Charity Shumway: Pretty sure I’ve raved about this book so much over the past couple months that anyone who reads this blog would have guessed it’d make the list. It is, simply put, phenomenal. Filled with insight and eloquence, the story follows Dawn West as she navigates her way through life and love. Tasked with tracking down the five hundred finalists of Charm Magazine’s Ten Girls to Watch contest, Dawn embarks on a journey she can’t begin to imagine until she’s in its midst. Fifty years of finalists, fifty years of dreaming big and working hard, fifty years of lessons, fifty years of wisdom, fifty years of inspiration … as Dawn interviews these women, she learns not only about them, but also about herself. We watch as the dreams of writing scrawled through her heart take flight. We watch as she grows. We watch as she stumbles, falls, and picks herself up again. And as we do that, we see so much of ourselves in her. Because, truly, Dawn is someone to watch, too. Where We Belong – Emily Giffin: I have loved all of Emily’s books, but this one is my favorite. This one is something I’ll reread multiple times. This one has stayed with me, even though it’s been five months since I got lost in its pages. There is something very special about the journey of Marian Caldwell, a television producer in New York, and her eighteen-year-old daughter Kirby Rose. Their story is about adoption, about love, about regret, about second chances, about faith, about pain, about abandonment, about hope. About life. Kirby’s quest to find her birth parents – Marian and Conrad – tugs at the heartstrings. It makes your breath catch in your throat, it makes your eyes well with tears, it makes your heart go out to everyone involved. There’s a beauty in this story’s complexity, but also a simplicity in what all the characters crave: to find their place, to find their home, to find themselves. Obviously this book struck a chord with me because I’ve written so much about adoption myself, but beyond that, it is just … beautiful. Fingers crossed tightly as can be for a sequel. The Song Remains the Same – Allison Winn Scotch: Allison posted an excerpt of this book on her website several months before its publication date, and just from that first chapter, I was immediately intrigued. Immediately invested. Immediately eager, curious, and excited to learn about Nell Slattery and her story. One of only two survivors after a horrific plane crash, Nell is left with a memory that’s been obliterated and a life that feels foreign. It’s a clean slate, a fresh songbook. But is that a good thing? Or is it the very thing that will prevent her from moving forward? We follow along on Nell’s journey to learn more about herself, to re-learn more about herself, and to make sense of what her family and friends tell her. But when the people she has to rely on unconditionally start to keep secrets and become selective in the memories they share, Nell turns to music to fill in the blanks. Lyric by lyric, she begins to piece together the puzzle of her life – and to realize that things aren’t always as they seem. And once she truly takes matters into her own hands? Once she begins to look at this second chance as a blessing and not a curse? That’s when her song stops being the same. That’s when it becomes one she composes. I’ve Got Your Number – Sophie Kinsella: This is, hands down, the most fun book I read all year. There’s a charm to it, a sweetness to it, a cleverness to it, a makes-you-feel-all-warm-and-fuzzy quality that will have you smiling the whole way through. As always, Sophie’s characters are infectious, and I found myself rooting for Poppy from the very beginning. First, she loses her heirloom engagement ring during a hotel fire drill. Then her cell phone is stolen. Desperate to leave the hotel a number where they can reach her if the ring is found, Poppy spots an abandoned phone in a trash can, claims it as hers, and hopes that the tides will start to turn in her direction. Instead, she ends up forging a relationship – sometimes friendly, sometimes not – with the phone’s real owner, Sam. As they communicate via text, via email, and finally, in person, Poppy and Sam inadvertently turn each other’s lives upside-down. And when it comes time for Poppy to say “I Do” … well, that’s when things are turned upside-down most of all. The Hunger Games – Suzanne Collins: I picked up this book assuming that I wouldn’t care for the story. It’s not at all the type of book I normally read, not even close, and so I was more than a bit surprised when I literally COULD. NOT. PUT. IT DOWN. And when I subsequently tore through the next two in the trilogy, needing to know how everything turns out for Katniss, Peeta, Gale, and the other characters whom Suzanne paints with her words. It is clever, and smart, and overflowing with so many twists and turns. It is difficult to read at times, but even so, there’s almost a compulsion to see what happens next. Katniss is a character with heart. She would do anything for the people she loves, does do anything for the people she loves, and we see in her a courage that inspires. She is strong. Determined. Brave. And while there are parts of the trilogy that made me cringe, parts that made me cry, parts that made me so angry I wanted to throw the book across the room, there are also parts that gave me hope. That made me ignore everything else so I could stay immersed in the story. This tale is one that makes us question a lot … but one that also makes us believe in the triumph of good over evil. May the odds always be in favor of that. These Girls – Sarah Pekkanen: Sarah’s books are like inspiration for the soul, and this one is no exception. Because these characters, these girls – Cate, Renee, and Abby – linger. Their stories linger. Their friendship lingers. They are thrown together by chance – Cate and Renee write for the same magazine, and Abby is the sister of a fellow journalist who works in the building – but become their own family by choice. And though they each have secrets which threaten to break them down, it is their bond with one another that eventually lifts them up and gives them the courage to tackle their demons. It is through facing their pasts that they’re able to find hope for their futures. What I love most about this book? About all of Sarah’s characters? They’re relatable. Reading about them, we are, in a sense, reading about ourselves. We see the goodness that can be found in the people we hold most dear. We see the strength that can blossom from having unconditional support. We see that these girls are you, me, us. And we know that, like them, we can blaze our own trails and create our own paths. What are your favorite books of 2012?